The leading expert in rugged display technology for the military, industrial, marine and air traffic control markets. The leading provider of industrial-grade computer systems, displays and peripherals for rugged environments. LittlePCs are small form factor Mini PCs designed to fit in space-confined areas, deliver high performance & available in a variety of configurations. 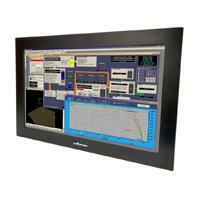 Our NEMA Rated LCD Monitors come with various Touch Screen & Sunlight Readable Options. Designs include Panel, Rack and OEM / Open Frame configurations. 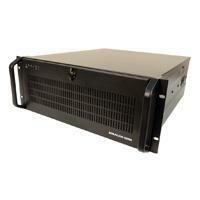 High performance 19" Rack Mount Servers and Rackmount Computer products with a wide range of configurations. Custom configured and built to order. 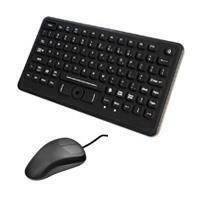 NEMA & IP Rated Industrial Keyboards and Trackballs & Mice. Panelmount, desktop and kiosk configurations. Ideal for wet, dirty and harsh environments. For the harshest conditions in military scenarios- land, air and on water. Our Commercial-off-the-shelf (COTS) Military Series offers a range of displays designed for the defense market place. Our marine/all weather computer products are built to provide maximum protection from dirty, wet and hostile operating environments. Sealed, Sunlight Readable & ECDIS options. 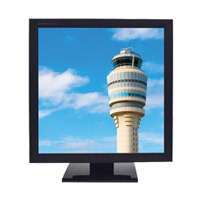 Reliable Air Traffic Control Displays built to the highest standards. Robust designed displays with a long life cycle, demanding image fidelity and compliance in mind. Fanless by design, we offer a wide range of quiet/silent computers that operate without the use of noisy cooling fans. Designed to work in harsh environments to reduce failures or unplanned downtime. Defense scenarios on land, air and water present the most demanding performance environments. Shock, vibration, extreme temperatures and more can damage sophisticated technology and jeopardize mission-critical applications. Sparton Rugged Electronics and its leading brands Aydin Displays and Stealth draw from years of industry experience. 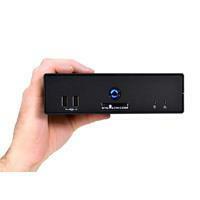 We build products especially responsive to complex needs and which meet multiple industry standards. For years, Sparton Rugged Electronics and its brands Aydin Displays and Stealth have been designing industrial-grade, rugged electronics with durability and long life cycles in mind. Construction, controls and other features are more robust. Displays include a variety of mounting styles for your specific application. Navigating harsh marine conditions requires more than waterproof equipment. 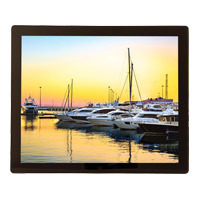 These settings demand industrial-grade LCD marine displays with crisp, readable views — even in direct sunlight — and innovative bridge integration. 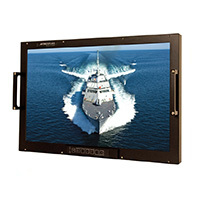 Harsh settings demand industrial-grade LCD marine displays with crisp, readable views — even in direct sunlight — and innovative bridge integration. Our marine displays, sealed PCs and bridge integration technology are designed for high performance to withstand the harshest conditions. Long life cycle, image fidelity and compliance are at the forefront of our design. We also support equipment transition, with products that replace CRT-based monitors and sizes and resolutions to accommodate future systems. Sparton Rugged Electronics offers displays, computers and other ruggedized electronics for the defense, marine, industrial and air traffic control markets. 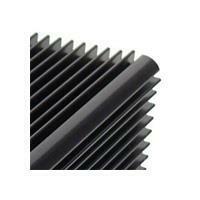 We are part of the Sparton Corporation, a global leader with over 100 years of experience in the contract design and manufacture of electromechanical devices for the military, aerospace and other industries. Sparton Rugged Electronics includes the leading brands Aydin Displays and Stealth, which share Sparton’s mission of providing innovation and rigorous quality. We help our customers conquer complexity and succeed in even the most demanding and harsh environments. Aydin Displays and Stealth.com come together under the Sparton Rugged Electronics brand to create a diverse line-up of high performance products for a wide range of markets and applications. With Aydin's 50 years & Stealth's 25 years of experience, we help our customers conquer complexity and succeed in even the most demanding and harsh environments. No challenge is too big or too small. Sparton Rugged Electronics builds on Sparton's manufacturing and design expertise to offer our markets something more: fully-integrated solutions and customized designs for unique, challenging conditions. Our customers can also shop from our wide selection of standard, off-the-shelf products. Sparton Rugged Electronics is totally committed to delivering rigorous quality and value for our customers, by understanding their needs and solving their problems. Our pride in our workmanship means that we take care of you every step of the way. Sparton Rugged Electronics under the brands of Aydin Displays & Stealth.com, specialize in high performance Military, Marine & Industrial grade Displays, Computer Systems & Peripherals. Aydin & Stealth’s products are in demand by the Military/Defense, Scientific, Telecommunications, Industrial, Commercial, Marine, Mobile and Control markets around the globe. When you sign up for our mailing list, you will receive a 5% OFF COUPON for Stealth.com branded products.